What do you do with all the photos you take? For a while now, I've been wanting to do something more that just store my digital photos. and not just slap them in a boring, non-documented album. 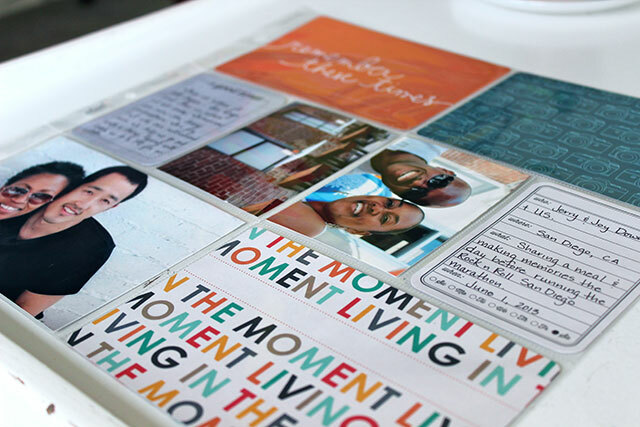 The thought of going to print photos and doing a traditional scrapbook was totally overwhelming. However, awhile ago I had read about something called Project Life. Have you heard of it? Well, it's a systematic way of documenting life. The process appeared streamlined and seemed simple enough with beautiful results. I decided to give it try it at some point. That is so gorgeous Jen!!! I'm so excited that you started your album, good for you! I know you will have so much fun with this project... Enjoy the process.